Enjoy a wide range of real leather upholstery fabric! Refurbish or redo any pieces of furniture thanks to our Tennessee real leather selection in dark brown. Enjoy a wide range of real leather upholstery fabric! Renove or redo any pieces of furniture thanks to our Tennessee real leather selection in anthracite grey. Enjoy a wide range of real leather upholstery fabric! Renove or redo any pieces of furniture thanks to our Colorado real leather selection in stale. Enjoy a wide range of real leather upholstery fabric! Renove or redo any pieces of furniture thanks to our Colorado real leather selection in black coffee. Enjoy a wide range of real leather upholstery fabric! Renove or redo any pieces of furniture thanks to our Colorado real leather selection in bronze. Enjoy a wide range of real leather upholstery fabric! Renove or redo any pieces of furniture thanks to our Colorado real leather selection in camel. 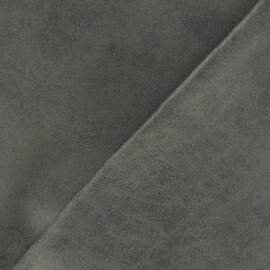 Our leather fabric is a great upholstery fabric. Our leather fabric is different from synthetic leather. In fact, real leather is a breathable material made from tanning process. Enjoy unique textures and durable leather fabric material at your online fabric store. 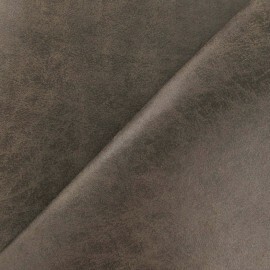 Our upholstery leather fabrics are trendy and authentic. Discover our large range of rich colors leather product, and textured real leather. Among our quality leather, you will find charcoal leather, brown leather, grain leather, bronze leather, grey leather and more. We also offer vegan leather and vegetal leather. These type of leather are great options if you want a strong fabric. This kind of leather is heavy metal free and vegetable tanned. Moreover, our home decor leather fabric is available by the meter. Our minimum order quantity is 10 cm. Indeed, if you order 1 quantity of leather fabric, you will receive a coupon of 10 cm x 140 cm. 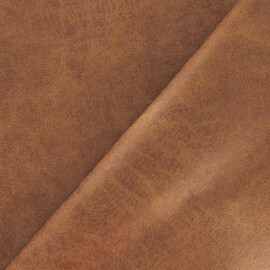 Also, you can order a swatch prior to ordering your leather fabric. Finally, if you want to order more, you will receive the amount ordered in one large piece. Do not hesitate to match our leather fabric with faux leather fabric. When it comes to furniture upholstery, you want to find the best fabrics. Our leather material will suit all of your needs. Create upholstered furniture for your home with leather armchair, leather pouf or stools. 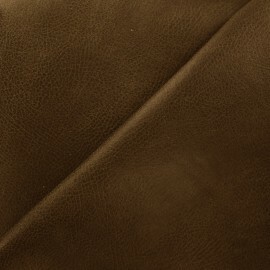 Replace your faux leather upholstery fabrics with high quality leather. Plus, leather is ideal for car trimming. Wish to recover some old chairs? Use our leather! Either you want to create leather purses, leather handbags, leather sofas or leather pet collars, you will find the perfect leather on our online fabric store. Stop sewing leatherette fabrics ! Start with a great real leather easy to work with. Also, apart from quality leather, you will need special needles for sewing machine and extra strong threads. Choose our Gütermann extra strong thread. Finally, to repair, restore or redo any pieces of furniture, you will find the required supplies in our lining furnishing fabric goods section. 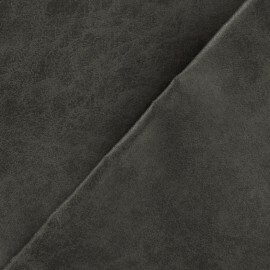 Discover as well, our high quality faux suede upholstery fabrics for DIY.